The ISO 13485 certification is an additional internationally recognized QMS specific to companies that design and manufacture medical devices. The base “layer” of the requirements of the ISO 13485 certification is depicted in the five mandatory clauses in the ISO 9001. 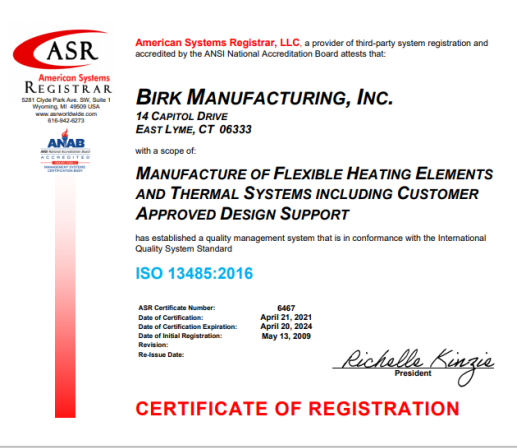 However, the ISO 13485 increases a company’s prerequisites for tighter tolerance and traceability in processes and products, which ensures that Birk’s medical device customers receive high-quality products that meet the requirements outlined by each medical application.